Amy's Creative Pursuits: You Never Miss a Beat! Hello! It was my son's birthday on August 29th so I made him a very special card (yes, I know that was a long time ago, but I am very behind in posting all my cards). 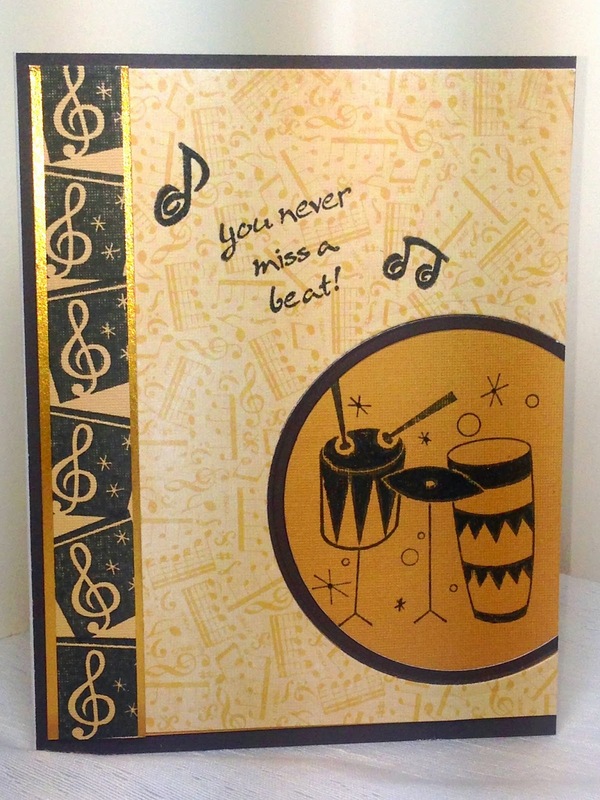 My son is a a percussionist so I chose a music themed card just for him. The images are from two retired Stampin Up! 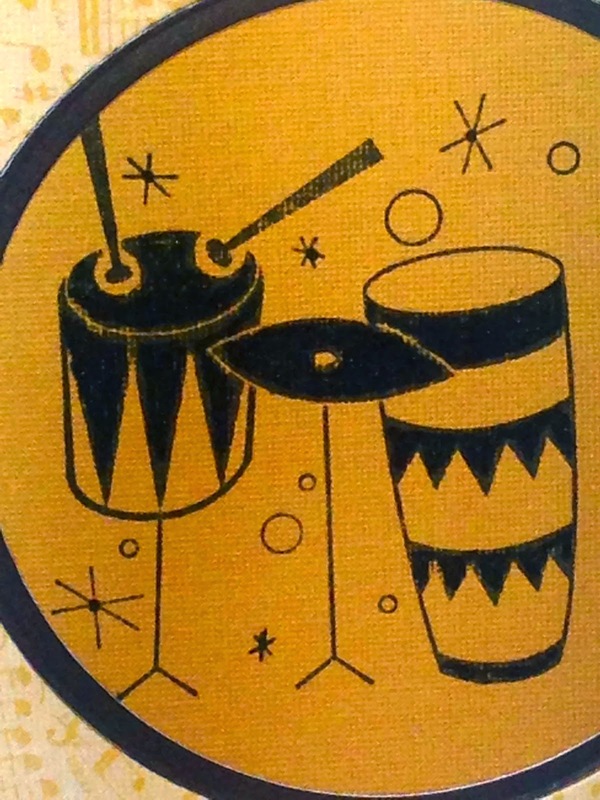 sets "Jazzed Up" and "All That Jazz". The paper is from DCWV "The Performance Stack". It is the perfect paper pad for the mother of two musicians! There are so many beautiful musical images in this stack. To make my card I stamped the main image on a carmel colored card stock from a coordinating solid paper pad to "The Performance Stack". Then, using a circle Nestability I cut out a circle from the designer paper and some black card stock. 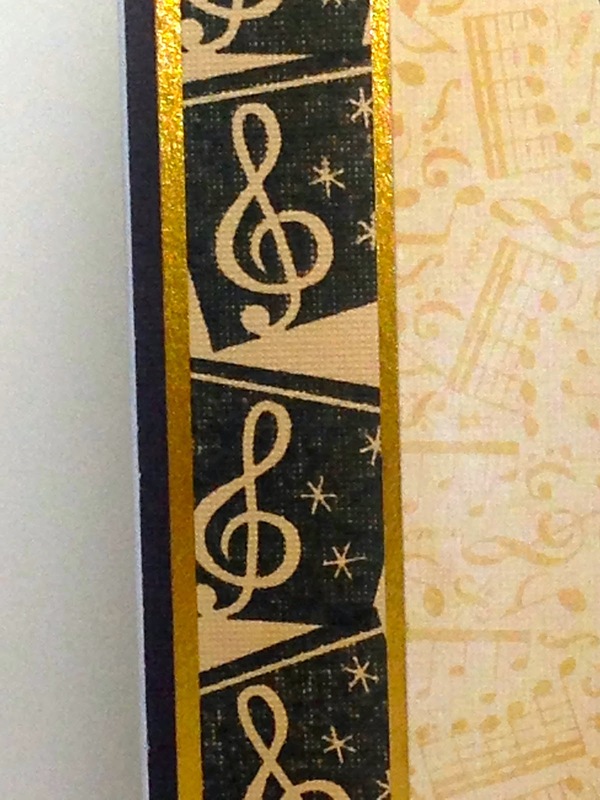 I stamped the musical note up the side of the card to create a vertical border. I tilted the stamp in various angles to get a more whimsical look. I used glitter paper for a narrow border along the notes. 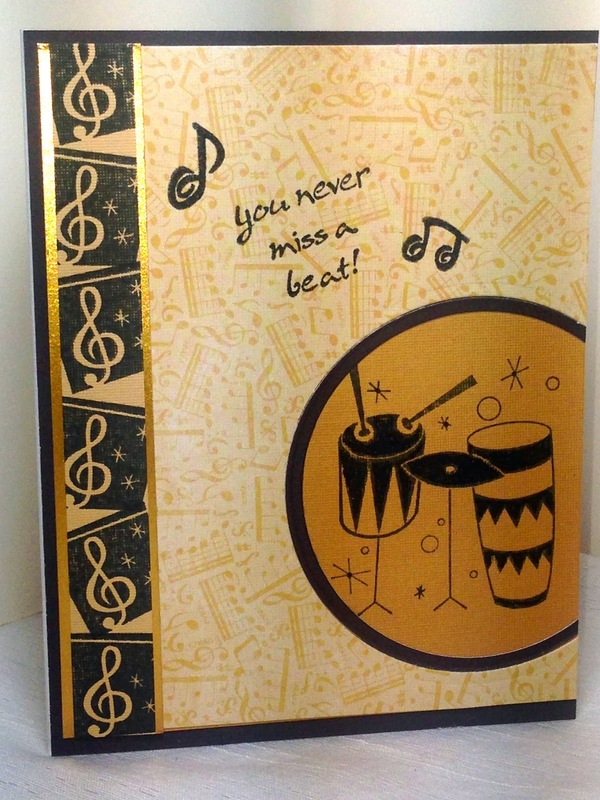 I finished the card by stamping the sentiment directly on the designer paper and adding a couple more music notes. Everything was then adhered to a black card base and then I cut a straight line over the circle portion to fit on a card base. I loved this music card so much that I created a second card for another male friend of mine who is also a musician. I also think it would work for any guy who loves music, even if he doesn't play an instrument. Oh perfect card for someone who loves music, who plays music, very very nice !! !